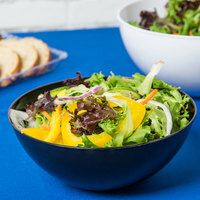 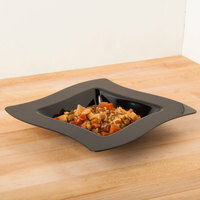 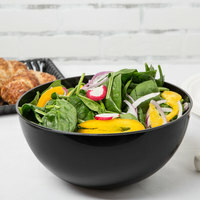 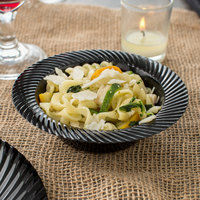 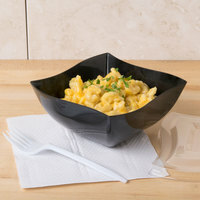 Black plastic bowls have a sophisticated and stylish look that is ideal for catered events and company parties. 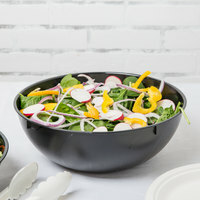 Plus, black matches well with other colors, so you can pair these bowls with brightly colored napkins and a bright table cloth to create a visually appealing display. 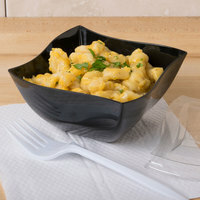 We also offer these bowls in several attractive shapes and edge styles, allowing you to choose the option that best suits your table setting and complements your food. 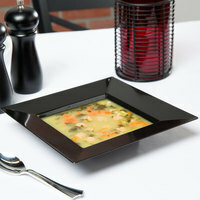 Also make sure to check out other great items from Visions, Creative Converting, Dart Solo, Fineline, Genpak and WNA Comet. 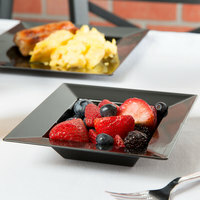 If you’re trying to create an upscale atmosphere at a catered event or party, black plastic bowls are the perfect solution. 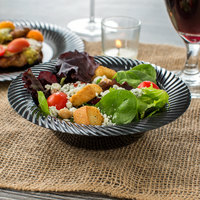 Black easily blends in with other colors, allowing you to create an interesting and visually appealing table setting. 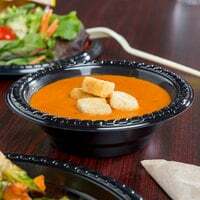 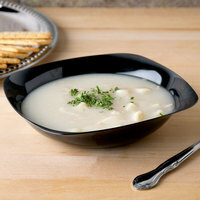 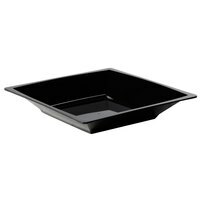 Additionally, with a wide range of sizes to choose from, you can find black plastic bowls for serving anything from hors d’oeuvres and appetizers to soups and main dishes. 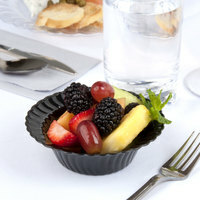 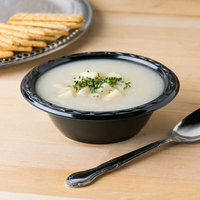 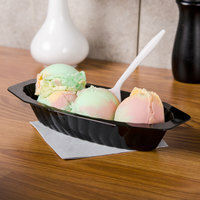 We even offer these products in bulk, making it easy to stock your catering company, banquet hall, or cafeteria with attractive disposable dinnerware. 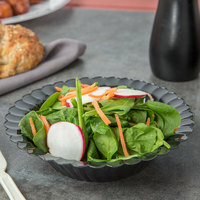 For products to pair with your plastic bowls, check out our luncheon napkins, heavy-duty plastic silverware, and plastic plates. 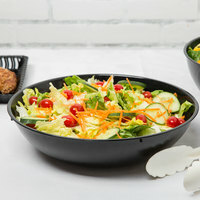 If you're wondering where to buy black plastic bowls, we have a large selection of black plastic bowls for sale at the lowest prices.